1. I have been asked to provide an expert opinion on the safety of return to Afghanistan for members of the Hazara minority. I am Professor of Diplomacy at the Asia-Pacific College of Diplomacy at The Australian National University. I have published extensively on Afghan politics for over two decades, and am author of Rescuing Afghanistan (London: Hurst & Co., 2006); The Afghanistan Wars (London and New York: Palgrave Macmillan, 2002, 2009); and What is a Refugee? (New York: Oxford University Press, 2016). I have also written a study of The Foreign Policy of the Taliban (New York: Council on Foreign Relations, 2000); co-authored Regime Change in Afghanistan: Foreign Intervention and the Politics of Legitimacy (Boulder: Westview Press, 1991) and Political Order in Post-Communist Afghanistan (Boulder: Lynne Rienner, 1992); edited Fundamentalism Reborn? Afghanistan and the Taliban (New York: New York Univers ity Press, 1998, 2001); and co-edited The Soviet Withdrawal from Afghanistan (Cambridge: Cambridge University Pres s , 1989) and Reconstructing Afghanistan: Civil-military experiences in comparative perspective (New York: Routledge, 2015). I authored the entry on Hazaras in John L. Esposito (ed. ), The Oxford Encyclopedia of the Islamic World (New York: Oxford University Press, 2009) Vol.II, pp.385-386. I also wrote the annual overview of events in Afghanistan in 2011 for the journal Asian Survey: see William Maley, ‘Afghanistan in 2011: Positioning for an Uncertain Future’, Asian Survey, vol.52, no.1, January-February 2012, pp.88-99. I visited Afghanistan most recently in November 2015, and in April 2013 carried out interviews in western districts of the city (notably in the Dasht-e Barchi district, scene of violent attacks on 13 August 2010) in which members of the Hazara ethnic group are concentrated. 2. Western governments continue to paint a very grim picture of the dangers affecting those in Afghanistan. The Australian Department of Foreign Affairs warns as of 24 July 2016 of ‘the extremely dangerous security situation and the very high threat of terrorist attack’. It goes on that the ‘frequency of attacks in Kabul has increased significantly’,that ‘Terrorist attacks can occur anywhere, anytime, and are particularly common in Kabul, and the southern and eastern provinces’, and that ‘Lawlessness exists in rural areas’. The US Department of State warns as of June 22, 2016 that ‘Travel to all areas of Afghanistan remains unsafe’,that ‘Extremists associated with various Taliban networks , Is lamic State of Iraq and the Levant – Khorasan Province (ISIL-KP), and members of other armed opposition groups are active throughout the country’. 3. It is essential to appreciate that the situation in Afghanistan is extremely fluid, and assessments of the situation made even a year ago do not necessarily provide an accurate picture of the situation in the first half of 2016. Roads that m ay have been safe to traverse in 2012, 2013, 2014 or 2015 may be unusable in 2016. 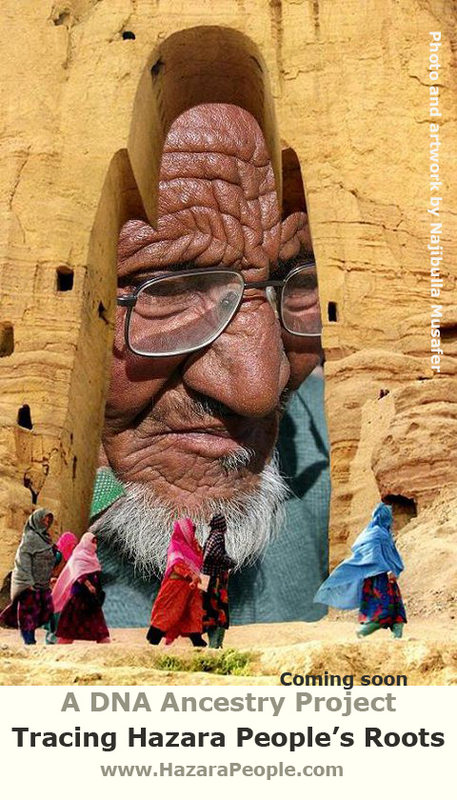 In February 2016, the United Nations Assistance Mission in Afghanistan reported that ‘In 2015, UNAMA observed a sharp increase in the abduction and killing of civilians of Hazara ethnicity by Anti-Government Elements. 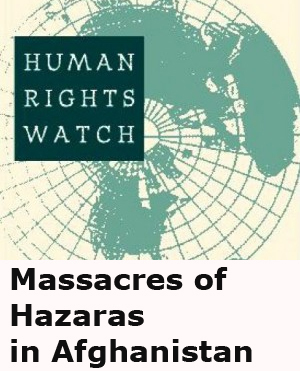 Between 1 January and 31 December, AntiGovernment Elements abducted at least 146 members of the Hazara community in 20 separate incidents . All but one incident took place in areas with mixed Hazara and non-Hazara communities, in Ghazni, Balkh, Sari Pul, Faryab, Uruzgan, Baghlan, Wardak, Jawzjan, and Ghor provinces’ (Afghanistan: Annual Report 2015 – Protection of Civilians in Armed Conflict (Kabul: UNAMA, 2016) p.49). With the withdrawal of foreign forces, there is a great deal of apprehension amongst Afghans about the future of the country, and there is a grave risk that Afghanistan will fall victim to what social scientists call a ‘cascade’, where even people who despise the Taliban decide to shift support to them because they think they are going to come out on top anyway. This is a well-recognised phenomenon (see Cass R. Sunstein, Laws of Fear: Beyond the Precautionary Principle (Cambridge: Cambridge University Press, 2005) pp.94-98) and it would likely create especially grave risks for people of Hazara ethnicity since targeting Hazaras could be a device by which other groups might seek to establish their credentials in the eyes of the Taliban. 4. Given this fluidity, it is a serious mistake to conclude that Afghanistan is safe for Hazaras. The disposition of extremists to strike at them has not disappeared. This was tragically demonstrated on 6 December 2011, when a suicide bomber attacked Shiite Afghans, most of them Hazaras, at a place of commemoration in downtown Kabul during the Ashura festival that marks the anniversary of the Battle of Karbala in 680 AD. Almost simultaneously, a bomb in Mazar-e Sharif also killed Afghan Shia. The Kabul bomb killed at least 55 people, and the Mazar bomb four more (see Hashmat Baktash and Alex Rodrigues, ‘Two Afghanistan bombings aimed at Shiites kill at leas t 59 people’, Los Angeles Times, 7 December 2011). The Afghan photographer Massoud Hossaini was awarded the 2012 Pulitzer Prize for his photograph of the aftermath of the Kabul atrocity: see <www.pulitzer.org/works/2012-Breaking-NewsPhotography>. A claim of responsibility was made by the Pakistani Sunni extremist group Lashkar-e Jhangvi, which has a long history of sectarian violence against Shia (see Muhammad Qasim Zaman, ‘Sectarianism in Pakistan: The Radicalization of Shi’i and Sunni Identities’, Modern Asian Studies, vol.32, no.3, 1998, pp.689-716). The key point to note is that no one with any knowledge of Afghanistan could seriously doubt that Hazara Shia were specific ally targeted on this occasion. To depict this attack as an isolated incident misses the underlying history of antagonism towards Hazaras that is pertinent to assessing what the future holds. It is the kind of reasoning that would have defined the 1938 Kristallnacht experience in Germany as an isolated incident. The same conclusion flows with respect to the attack on peaceful Hazara demonstrators in Kabul on 23 July 2016, discussed in paras.8-9 (below). 5. 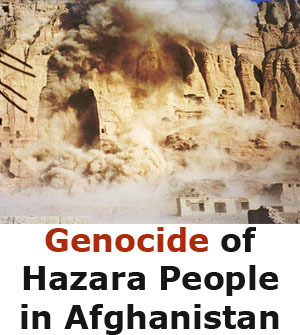 Two recent cases from Ghazni province also highlight the dangers that Hazaras face. First, an Afghan Hazara, Zainullah Naseri, was removed to Afghanistan in August 2014 on the basis of a December 2012 Refugee Review Tribunal decision that by any measure was out of date. He was seized by the Taliban when attempting to travel to his home village along a road about which the Tribunal had stated that ‘the level of risk does not reach the threshold of a real chance’.He was then severely tortured (see Abdul Karim Hekmat, ‘Taliban tortures Abbott government deportee ’, The Saturday Paper, 4 October 2014). I met Mr Naseri in Kabul in October 2014 and found him profoundly traumatised. Having spoken to him directly, and seen unpublished photographs of his injuries immediately after they were inflicted, I have no doubt that he was on the receiving end of truly awful treatment; and can see no reason to doubt the veracity of his testimony. (The Refugee Review Tribunal decision maker had earlier written that ‘The Tribunal accepts as credible the claims advanced by the applicant about his life in Afghanistan’.) Second, on 20 September 2014, an Australian citizen of Afghan Hazara origin, Sayed Habib Musawi, was murdered by Taliban militants who reportedly stopped a minibus on which he was travelling and asked for him by name (see Mitchell Nadin, ‘Taliban singled out Afghan Aus s ie Sayed Habib Musawi for murder’, The Australian, 30 September 2014). These cases speak much more powerfully to the real dangers in Afghanistan than can diplomatic reporting by officials pronouncing on the safety of roads which, for security reasons, they are not themselves allowed to use. (In the light of the Musawi case, it would be useful to know how much of the Australian Embassy reporting from Kabul is based on field research carried out by Embassy staff. As a regular visitor to the Embassy, my impression is that its impressively dedicated and hard-working staff are very severely limited in their movements by security concerns. A press report on the Musawi case quoted the following response from an Embassy staffer to a request for assistance from Mr Musawi’s son: ‘We can’t investigate. It’s difficult for us to investigate because we can’t go to the area. It’s dangerous there’ (Abdul Karim Hekmat, ‘Hazaras face death on return to Afghanistan’, The Saturday Paper, 8 November 2014). This is a perfectly legitimate position for an Embassy to take, but it gives rise to the risk that what appears in diplomatic cables may be more a distillation of received ‘wisdom’ in certain circles in Kabul than a full reflection of dangers existing in more remote parts of the country through which ordinary Afghans may have to travel if they are to access support networks in districts from which they originated.) In the light of the experiences of Zainullah Naseri and Sayed Habib Musawi, as wel l as the December 2011 and Julky 2016 bombings and the reported 2015 upsurge of attacks on Hazaras, any ‘country information’ suggesting that Hazara Shia are not at risk of persecution for reasons recognised by the 1951 Convention, or at real risk of harm if they seek to travel to places outside Kabul where their families may be located, is outdated and irrelevant. 6. A recent study of returnees to Afghanistan highlights how difficult reintegration can be even if people do have associates in the region to which they are returned (Liza Schuster and Nassim Majidi, ‘What happens post-deportation? The experience of deported Afghans’, Migration Studies, vol.1, no.2, 2013, pp.1-19). Of course, an Hazara returned from abroad with no ties in areas they can safely access would be in an even more perilous position. This ties in directly with the issue of livelihood opportunities. Again, serious research in this area highlights the importance of social relations. A recent study by Kantor and Pain emphasises the centrality of relationships to livelihoods in rural Afghanistan, and the points they make apply equally to urban areas (Paula Kantor and Adam Pain, Securing Life and Livelihoods in Afghanistan: The Role of Social Relationships (Kabul: Afghanistan Research and Evaluation Unit, December 2010). The mere fact that there may be people of similar ethnic background living in a potential relocation destination does not overcome this problem, since ethnic identities do not in and of themselves give rise to the ties of personal affinity and reciprocity that arise from family connections. (Indeed, one mistake that observers —even Afghan observers —on occasion make is to underestimate the degree of differentiation amongst groups such as the Hazaras , including distinctions between elite and non-elite figures, distinctions based on district of origin and tribe, and distinctions based on values and ideology.) 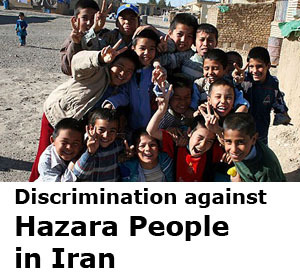 An Hazara who is returned to a region in which he lacks strong social connections is likely to end up destitute, or be exposed to gross exploitation or criminal predation. The simplistic and superficial conclusion that Kabul offers a safe or meaningful ‘relocation’ option for Hazaras should be avoided. 7. The emergence in Afghanistan of the group known as ‘ISIS’ or ‘Daesh’, which the former Australian prime minister routinely described as a ‘death cult’, has drawn considerable attention recently; President Ghani of Afghanistan has drawn attention to it (see Khalid Alokozay and Rod Nordland, ‘Afghan President Blames ISIS for a Bombing’, The New York Times, 18 April 2015), and even the Taliban see it as a threat (see Emma Graham-Harrison, ‘Taliban fears over young recruits attracted to Isis in Afghanistan’, The Guardian, 7 May 2015). ISIS is notoriously hostile to Shiite Muslim s (see Alissa J. Rubin, ‘Questions Rebels Use to Tell Sunni from Shiite’, The New York Times, 24 June 2014), and for this reason, it is not surprising that Afghan Shia are profoundly apprehensive about metastases from ISIS appearing in Afghanistan. This is a threat that should be treated very seriously. Afghanistan has a long history, of which the Taliban movement is simply a recent manifestation, of groups taking shape around ideas (or charismatic figures propounding them) that have originated in other parts of the Muslim world. Wahhabi influences appeared in the 19th century, and Deobandi ideas in the 20th. Given the disruptions of the last four decades, Afghanistan’s soil is remarkably fertile for implantations of this kind, and given the weaknesses of the state, even groups that have only a relatively small num ber of supporters may be able to cause mayhem for vulnerable elements of the population such as the Shia. 8. 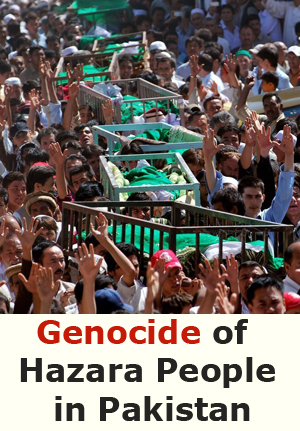 This was brutally demonstrated on 23 July 2016, when a peaceful demonstration by Hazaras as sociated with the s ocalled ‘Enlightening Movement’ (Jumbesh-e Roshnayi) over the routing of a proposed electricity system was struck by a suicide bombing.At least 80 people were left dead, and hundreds injured; ISIS claimed responsibility for what it cal led ‘a “martyrdom attack” on Shiites’ (Mujib Mashal and Zahra Nader, ‘ISIS Claims Suicide Bombing of Protest in Kabul, Killing at Least 80’, The New York Times, 24 July 2016, p.A6). The implications of this attack are profound. It demonstrates a capacity on ISIS’s part to strike targets in the heart of the Afghan capital, where the presence of Afghan security forces is relatively strong; in the light of ISIS’s claim of responsibility, it puts on display a commitment to attack on the basis of religious identity, plainly engaging one of the bases of refugee status under Article 1.A(2) of the 1951 Convention Relating to the Status of Refugees; and it highlights particular dangers for Hazaras, who are overwhelmingly Shiite,are physically distinctive because of their East Asian phenotypes, and make up the vast bulk of the Shiite component of the Afghan population. 9. 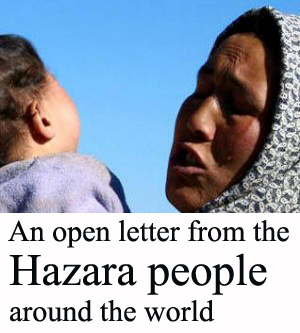 In February 2016, the Department of Foreign Affairs claimed in a Thematic Report specifically prepared for protection status determination purposes that ‘The threat of conflict-related violence faced by Hazaras is similar to that faced by members of other ethnic groups’ and that ‘DFAT is not aware of any credible evidence that everyday Hazaras are currently being systematically targeted on the basis of the Shia religion’ (DFAT Thematic Report: Hazaras in Afghanistan, 8 February 2016, paras.2.13, 3.7). In the light of the 23 July 2016 carnage in Kabul, and the wording of ISIS’s claim of responsibility for it, these claims are now completely unsustainable.